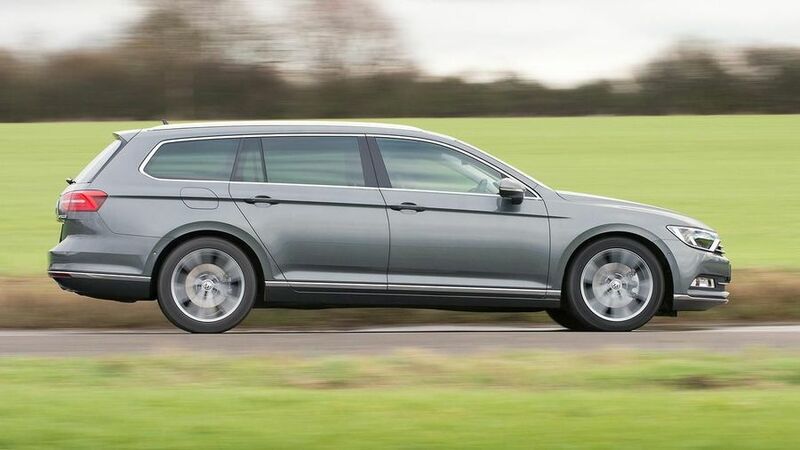 The Passat Estate is a family wagon that competes with the likes of the Ford Mondeo Estate and Vauxhall Insignia Sports Tourer. It makes its case with a desirable image, a high-quality cabin and a sophisticated driving experience. Although it's getting on in age now, the Volkswagen Passat is a fine family estate car, and even better company car, with a sparkling interior, a smooth, comfortable driving experience and low CO2 emissions that mean affordable running costs for fleet drivers. In GTE form, winner of Auto Trader’s 2018 New Car Award for ‘Best Green Car’. Whether it’s on the family driveway or in the company car park, the Volkswagen Passat Estate cuts a handsome, simple shape. You can always rely on Volkswagen design to stand up well against the ravages of time, but look closely here, and you’ll see an almost fanatical precision in the details, such as the way the chrome grille integrates into the chrome edging, the headlights and the bonnet shut line. Even its impending popularity – Volkswagen sells more Passat Estates in the UK than it does Saloons - will not make this kind of detail any less impressive. The range starts with the S, which comes with 16-inch alloy wheels. These grow to 17 inches on the SE Business model, which also comes with spangly LED headlights. The Bluemotion model has front fog lights and some aerodynamic styling tweaks, designed to show off its green credentials, while the GT adds tinted glass and 18-inch alloys. If you do want to stand out a little, you could choose the Alltrack model, which gives the standard car a semi-SUV makeover, with revised bumpers, wheelarch extensions and sill mouldings. R-Line models, meanwhile, get a slightly sportier makeover. 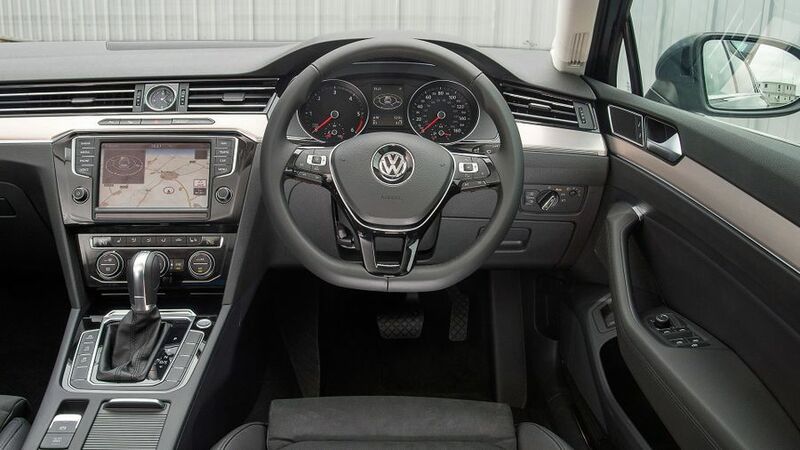 The cabin of the Volkswagen Passat Estate is very high in quality. There are plenty of soft touch plastics and metallic finishes, including the chromed air vent design that extends the entire length of the dashboard to visually emphasise the car's width. Combine this with a standard-fit 8.0-inch infotainment touchscreen to de-clutter all the primary controls, and you’re some margin ahead of the Ford Mondeo for plushness. And, that’s before you’ve specced the ‘digital cockpit’. This optional technology replaces your traditional speedo and rev counter for a fully digital binnacle that can be customised to display your navigation instructions, speed or music, depending on your needs. The driving position has loads of adjustment whatever trim you choose, but cars in SE Business trim and above get ergonomically designed seats that are impressively supportive. 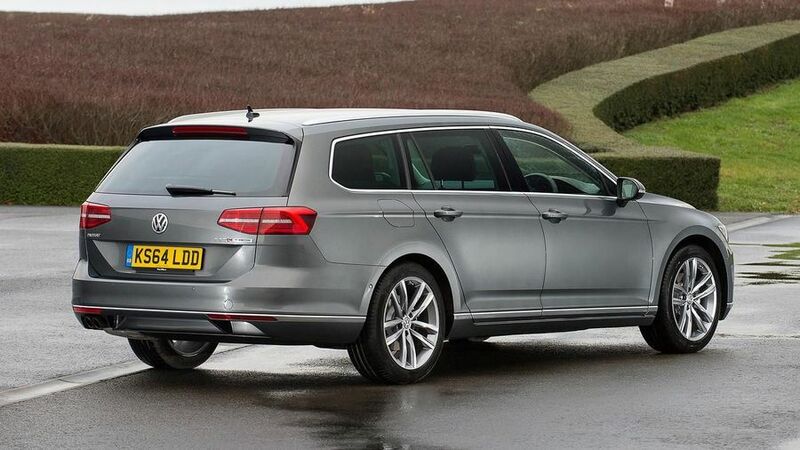 The supremely adaptable format of the estate car means Volkswagen’s Passat is able to juggle the responsibilities of parenthood and prestigious company car effortlessly. For the execs, there is plenty of head and shoulder room for a pair of six-footers up front, as well as in the back. Only the raised central tunnel makes the middle rear seat a squeeze. 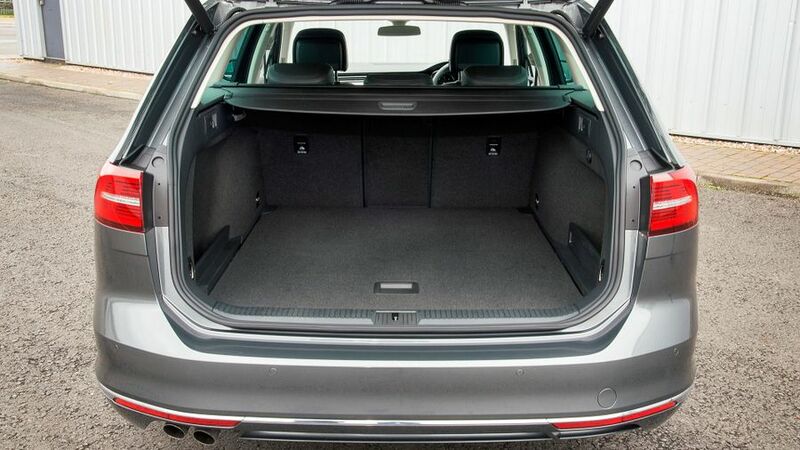 The boot is also bigger than you’ll find in any of the Passat’s rivals, including the Ford Mondeo Estate. It offers 650 litres with the seats up, swallowing all your Bugaboo paraphernalia, while a false floor that sits level with the boot opening makes loading your cargo easy. Pull a small lever, and the rear seats tumble to open up 1780 litres, but those rear chairs don’t quite sit flat. Still, if you’re desperate for more space, the optional roof rack can carry a further 100kg of load. Cars like these are often used as family carry-alls, and with those duties in mind, a comfortable ride should take precedence over sharp handling. That’s precisely what the Passat does. Stick with the smaller choices of alloy wheel, and the suspension soaks up any lump or bump that the UK road network can throw at it with the minimum of fuss - and that's true even if you opt for the higher-riding Alltrack version. Bigger wheels do stick a slight dent in the comfort levels, but it’s a case of a few low-speed jitters rather than crippling thuds and bangs. Granted, this focus on comfort does mean that the Passat isn’t a car that’ll have you grinning from ear to ear in the corners, but it always feels secure, accurate and predictable when changing direction, even if the steering could do with being a wee bit heavier. There’s also an adaptive suspension available – standard on the most powerful models and optional on the rest of the range – which makes things softer or firmer depending on which driving mode you choose. It works, but the standard system is so good that there’s no point paying the extra. Diesel is the automatic choice for buyers of family estates, and the Passat range offers plenty of choices. The 118bhp 1.6 unit looks appealing on paper thanks to its impressive economy figures, and normally, it’s perky enough to keep you going at a decent lick without having to do too much work with the manual gearbox. However, if you regularly fill your car up with people or stuff, which you probably will if you’re looking for an estate car, then you might be better off forking out the extra for one of the brawnier 2.0-litre diesels, the 150 horsepower version being our pick. 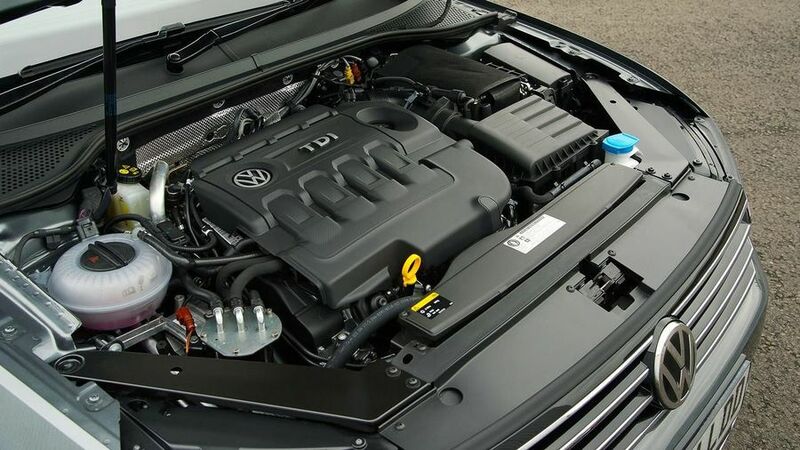 It, along with the more powerful 190 horsepower and 240 horsepower versions, serves up easy, refined performance that really suits the character of the Passat, and all the diesel engines we’ve tried are impressively smooth and quiet. The precise action of the six-speed gearbox means you won’t be praying for the demise of the manual shifter just yet, but if you fancy an automatic, the twin-clutch transmissions work well, too. Company car drivers who routinely only cover short distances might also want to consider the GTE model, which is a plug-in hybrid that uses an electric motor and a 1.4-litre petrol engine to deliver 218 horsepower, but that can also run for up to 31 miles on battery power alone. Whatever format the car runs in, it’s brisk to pick up, both away from the mark and on the move, and it does so in a smooth, quiet way that really complements the rest of the Passat’s easy-going driving experience. 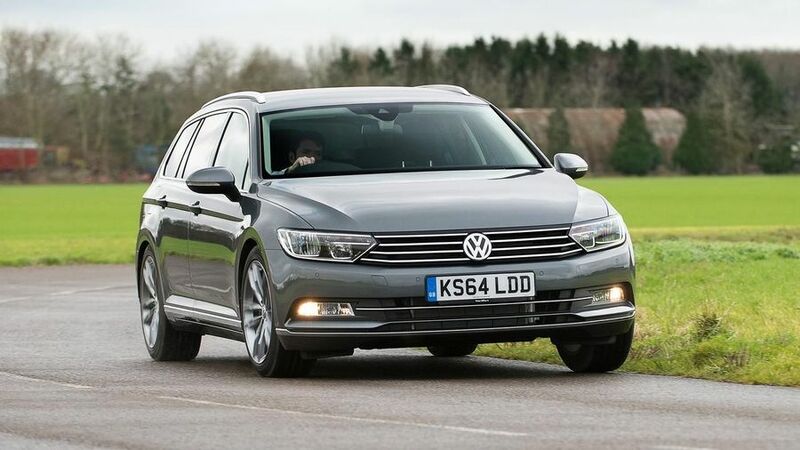 The Passat looks quite dear next to estate car rivals like the Vauxhall Insignia Sports Tourer, but its stronger residual values will help to keep down whole-life costs, along with the all-important company car lease rates. Most of the diesel engines provide impressively low CO2 emissions – less than 110g/km in most cases – and that’ll help minimise monthly company car tax bills. Correspondingly low fuel consumption will be kind on your pocket, too. The really eco-friendly versions do even better, with figures 95g/km and 76mpg for the Bluemotion diesel, and 39g/km and 166mpg for the GTE plug-in hybrid. Remember, though, that these versions – the GTE especially – are comparatively expensive to buy, and you’ve virtually no chance of getting anywhere near these figures in real life. You do get some pretty appealing tax benefits, though. All versions of the Passat come with a three-year/60,000 mile warranty plus one year breakdown assistance, but it’s too early to predict how reliable this eighth-generation Passat will be. According to Warranty Direct, Volkswagen’s (and the Passat’s) reliability is below average; but, on the other hand, owners on our website are almost universal in their praise for the car’s reliability and VW scores well on JD Power's 2017 Vehicle Dependability Study. 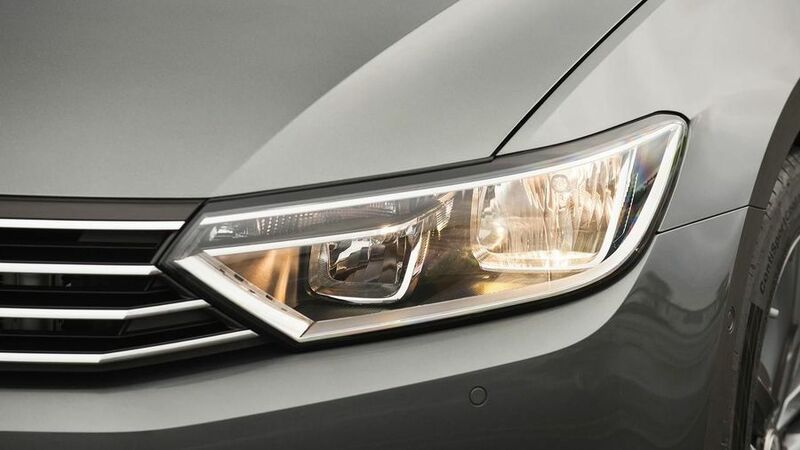 Standard safety equipment was very impressive when the Passat launched in 2014. It scored the maximum five stars in crash tests by safety organisation Euro NCAP, but standards have moved on since then. Nevertheless, all cars include nine airbags, tyre pressure monitoring and stability control with a trailer-stabilisation function. From SE Business trim upwards, you also get Adaptive Cruise Control, Front Assist and a Pre-Crash system. There’s also an extensive list of safety-related options, including Predictive Pedestrian, Emergency Assist Protection and Traffic Jam Assist, which lets the car stop, steer and move, all by itself at low speeds. 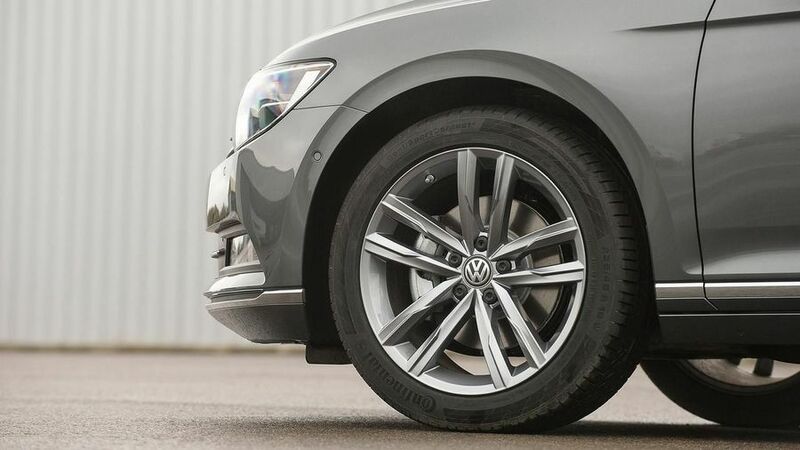 The Passat’s relatively high price is justified to some extent by the amount of equipment that comes as standard. As well as the safety kit listed above, every model also comes with smartphone connectivity and DAB radio. 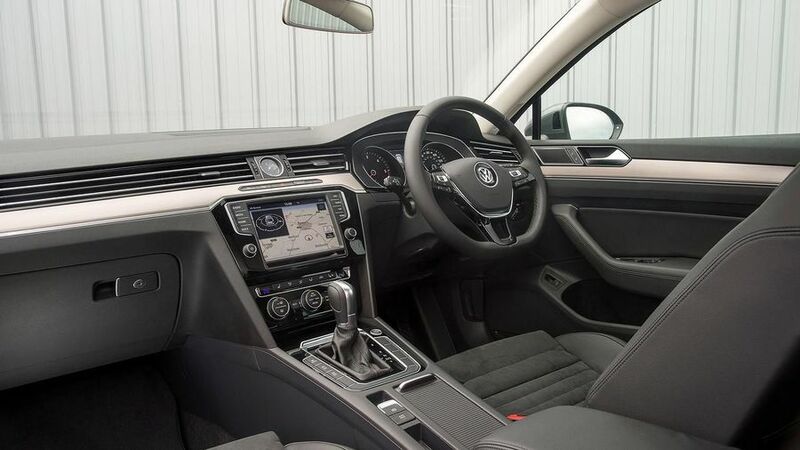 We reckon it’s worth upgrading to SE Business, which adds all-round parking sensors, heated front seats, three-zone climate control, the ergoComfort driver’s seat, and sat-nav. GT and R-Line versions, meanwhile, give the car a luxury and sporty makeover, respectively. The Alltrack has its own bespoke equipment package, but it's in line with its high price at the top of the Passat line-up. Options available across the range and worth a mention include the non-adaptive LED headlights and Trailer Assist, which essentially, is automatic reverse parking for caravanners. 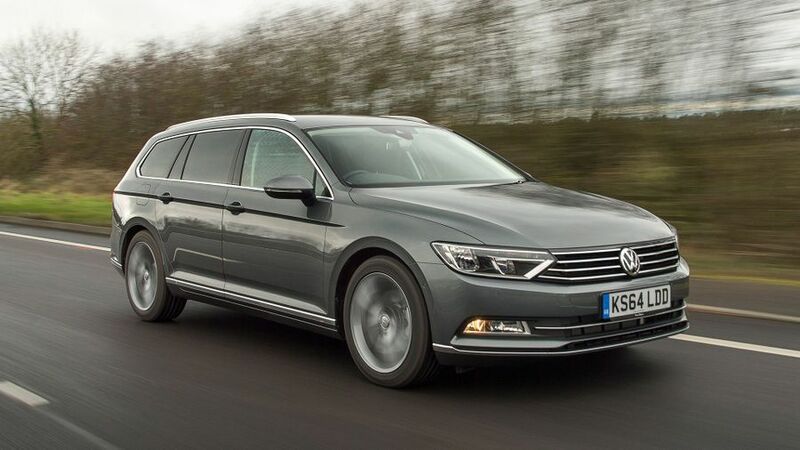 The Volkswagen Passat Estate may sit in a continually squeezed middle road between more value-led propositions and full-on premium brands, but it remains a great family car that focuses on space, quality and refinement.